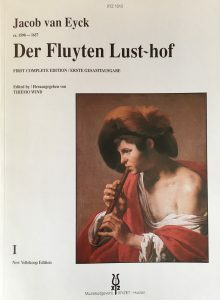 Jacob van Eyck, Der Fluyten Lust-hof. 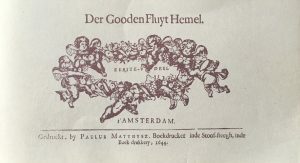 First complete edition, edited by Thiemo Wind. 3 Vols. Huizen, XYZ, 1986-1988. 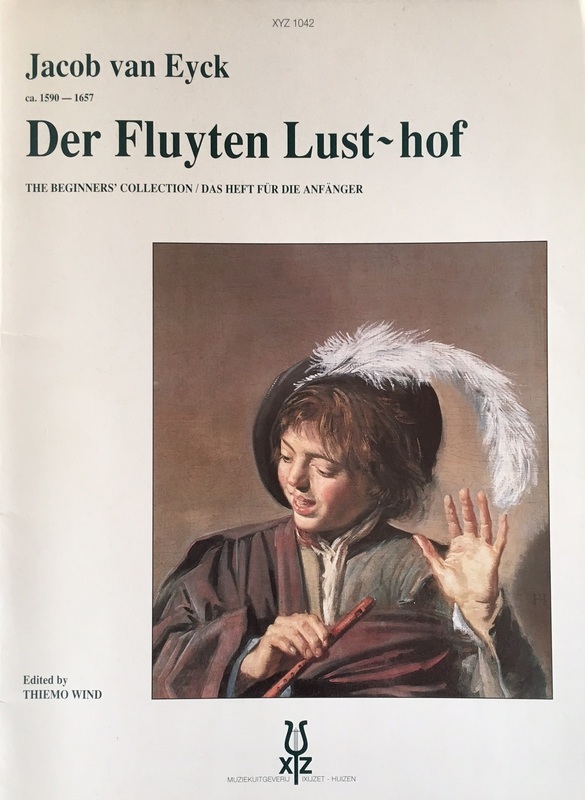 Jacob van Eyck, Der Fluyten Lust-hof. The Beginners’ Collection. Edited by Thiemo Wind. 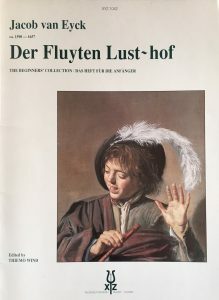 Huizen: XYZ, 1993. 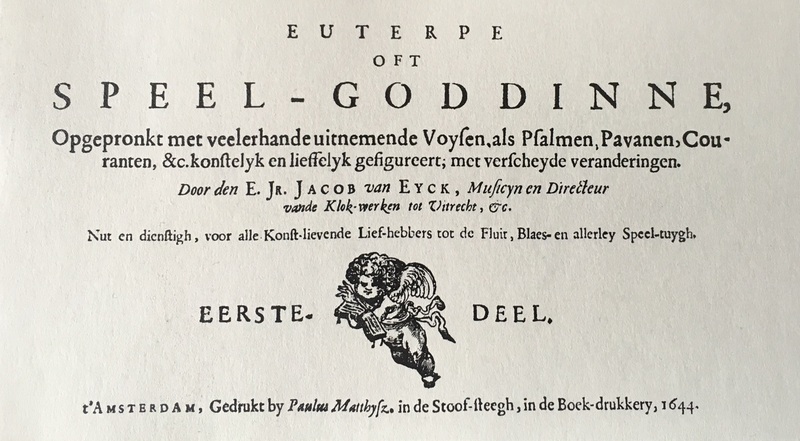 Jacob van Eyck, Euterpe oft Speel-Goddinne (Amsterdam 1644), facsimile ed. with an introduction by Thiemo Wind. Utrecht: Stimu, 2007. The Gods’ Recorder Heaven. 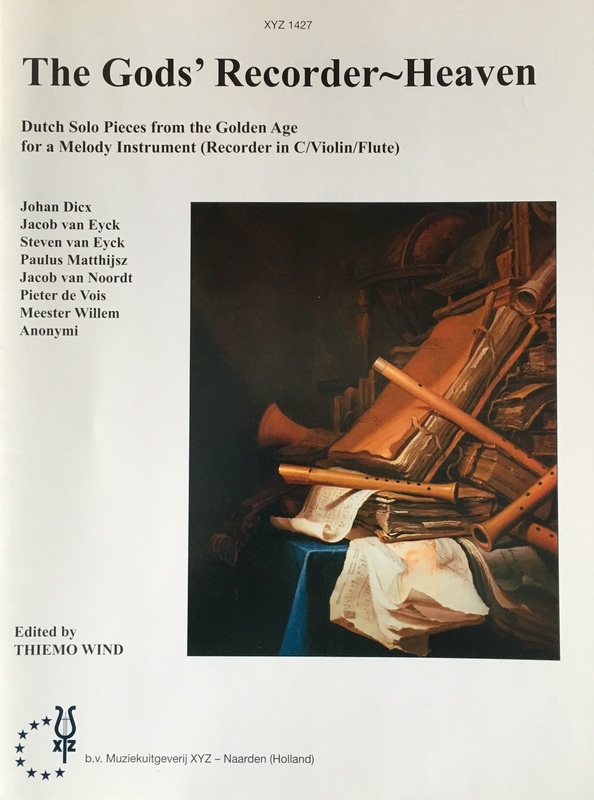 Dutch Solo Pieces from the Golden Age, for a Melody Instrument (Recorder in C / Violin / Flute). 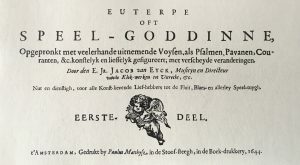 Composers: Johan Dicx, Jacob van Eyck, Steven van Eyck, Paulus Matthijsz, Jacob van Noordt, Pieter de Vois, Meester Willem, Anonymi. Edited by Thiemo Wind. Huizen: XYZ, 2010. XYZ 1427. Der Goden Fluit-hemel. An anthology of music for 1, 2 and 3 soprano recorders (violins, etc), Amsterdam 1644. 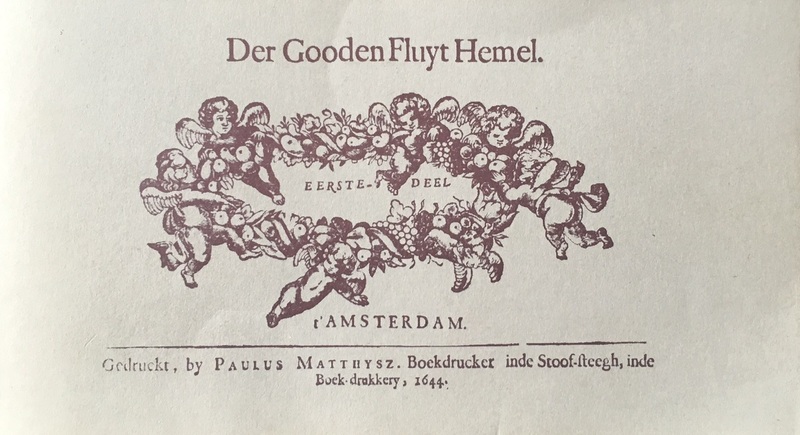 Facsimile edition with an introduction by Thiemo Wind. Utrecht: Stimu, 1993.